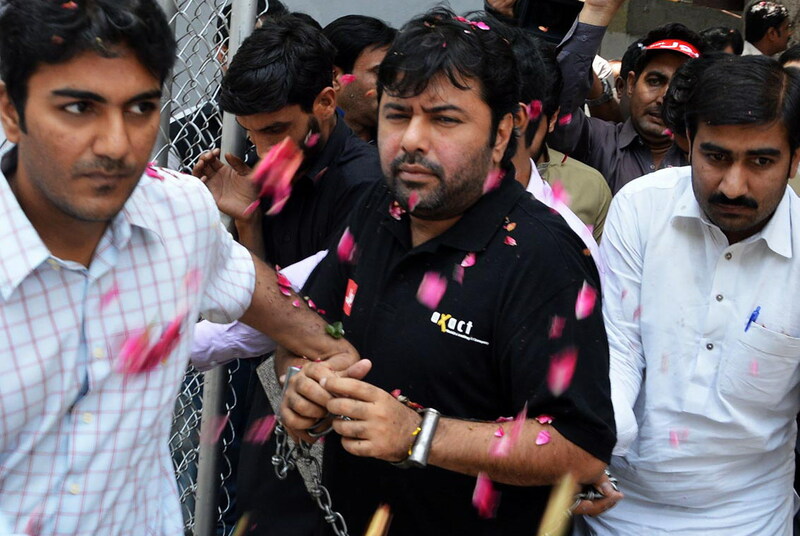 ISLAMABAD: The Islamabad High Court (IHC) on Tuesday suspended the 20-year jail term handed to Axact’s Chief Executive Officer (CEO) Shoaib Shaikh and granted him bail against surety bonds worth Rs 500,000. In July, an Islamabad sessions court had convicted Shaikh and 22 others in the fake degree scam case and awarded 20 years imprisonment under different charges. The judge also imposed a fine of Rs 1.3 million on each of the convicts. Shaikh and the others were nominated in a First Information Report (FIR) lodged against them on June 7, 2015 under Sections 419, 420, 468, 471, 473, 109/34 of the Pakistan Penal Code and Section 4 of Anti-Money Laundering Act 2010. Subsequently, Shaikh challenged his conviction before the Islamabad High Court. Shaikh’s counsel Raja Rizwan Abbasi asked the court to suspend the sentence till the appeal against the trial court’s decision in concluded. In his arguments, the lawyer pointed to what he called some grave legal mistakes in the decision. Justice Athar Minallah observed that there is no complainant in the case. “The Federal Investigation Agency (FIA) says that hundreds of thousands of people were defrauded but not even a single victim lodged a complaint,” he said. The judge also observed that the prosecution failed to prove that the degrees were fake. The Axact fake degree scandal came to the spotlight when The New York Times published an article, claiming Axact sold fake degrees online through hundreds of fake schools. The offices of the company were sealed and it’s CEO and senior officials were arrested after the issue surfaced. Umair Hamid, a senior manager of the company was sentenced to 21 months in a US prison in August 2017 for his part in Axact’s fraudulent activities. According to the department of justice, Hamid was involved in running a “massive diploma mill” through Axact, which tricked people into enrolling in fictitious universities and colleges.